The attention to detail at Rooster Ridge only begins with our hunts. The lodge has a mix of great value and luxury accommodations. At the end of each day, hunters relax in a "down home comfort" setting, and enjoy delicious meals able satisfy any appetite. 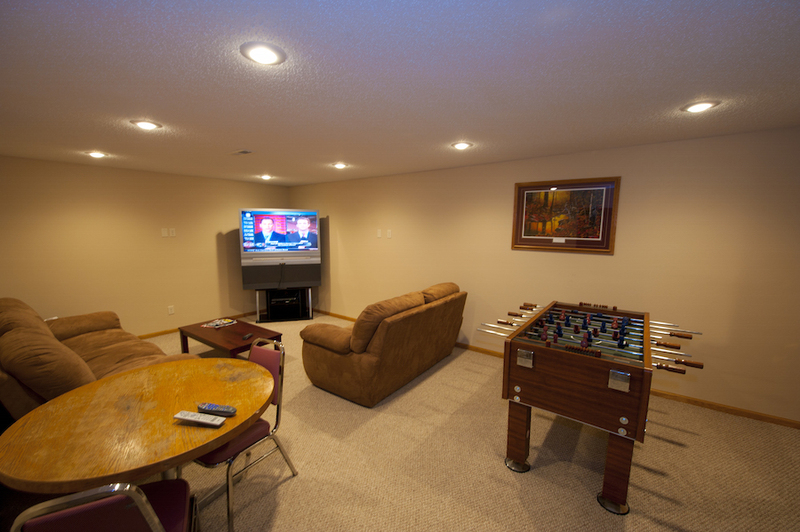 We've covered all the little details, including a game room, satellite TV, clay shooting range and outdoor hot tub. The lodges include a fully-equipped kitchens, laundry and daily maid service. We introduced Rooster Ridge Lodge in 2001 with the idea of offering an extravagant pheasant hunting experience. Rooster Ridge is unique in that it offers 2 separate lodges adjacent to one another. We can offer one lodge exclusively for a group of 6 or more hunters or you can reserve both lodges and host groups of up to 20 hunters. Each lodge has 5 private bedrooms with breakfast, lunch and dinner included in the package price. You will enjoy a full hot breakfast before each hunt and then lunch in the field. Dinners are hearty and tasty, ranging from things like pasta to steaks on the grill. Each lodge has its own charm and amenities - see more details below. 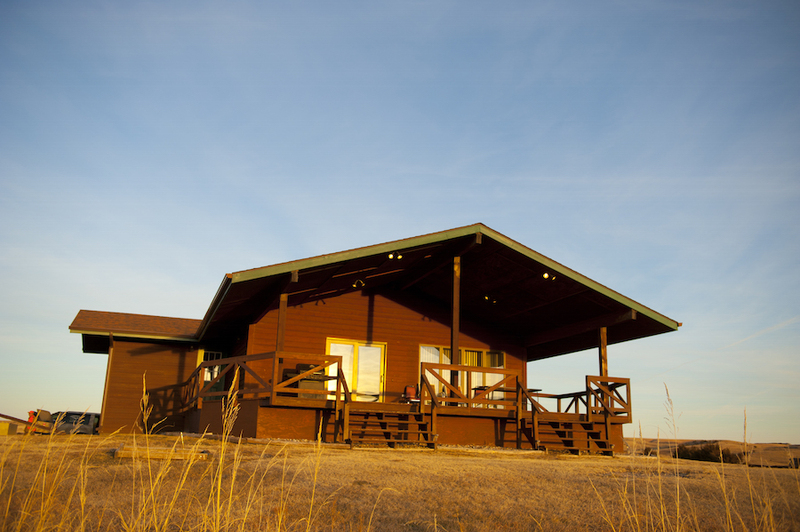 Rooster Ridge West is highlighted by magnificent views of the countryside and the Missouri River. After an exciting day of hunting relax by the fire or on the porch with a cold drink and enjoy the sun setting over the Missouri. The lodge has 5 bedrooms and 2 bathrooms with a maximum capacity of 10 hunters but groups of up to 20 are welcome with the use of both lodges. What Rooster Ridge East lacks in scenery it makes up for in amenities. The lodge is nestled into the grassy hills below the West Lodge and offers a billiards table, hot tub and full kitchen. The clay shooting range is close and can be used by either lodge. 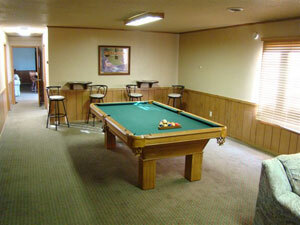 After a day of pheasant hunting relax in the whirl pool or enjoy a evening of billiards with a cold drink. The lodge has 5 bedrooms and 3 bathrooms with a maximum capacity of 10 hunters but groups of up to 20 are welcome with the use of both lodges. We also offer lodge rental for family reunions, weddings, corporate retreats.